To avoid roof damages which profoundly affect you property value one must need time to time roof replacement and maintenance services. It will not only keep up the value your home but also gives you the peace of mind. 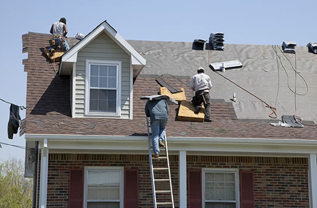 Roofing considers as one of the major components that drive the value of any building home, commercial or industrial. We are skilled and experienced commercial, industrial and residential roofing contractors in NYC equipped with fostered technologies, technical skills and expertise to tackle all your roofing issues of asphalt roof, metal or tile roofs. Whatever the roofing issues you have experienced from faulty roof flashing to shingles damages, gutter buildup or moisture, we cure all. If you live in Manhattan, Queens, Bronx, Brooklyn or Staten Island, Long Island, Nassau or Suffolk County, call Tetra Construction Company. schedule an on-site free roof inspection and no-obligation estimate of your roof repair, maintenance or even replacement.